The selection of carpeting & rugs that we keep in stock at our store in Barrie, ON is extensive. If you’re looking for a great selection of carpeting & rugs in the Barrie, Ontario area, turn to us at Giant Carpet Flooring Centre. From the minute you walk into our store, we’re confident that you’ll be more than happy with our selection and walk out of our store pleased with your flooring decision. 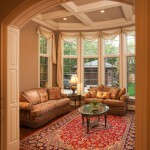 Although we do carry many different carpeting options, we also carry a wide selection of different area rugs. A few area rugs can dramatically improve your home’s aesthetics and make things more comfortable in areas where you have tile or wood floors, especially in the winter. When you come in to look at our selection of carpeting & rugs, we realize that while you might be impressed with our selection, you might also be a little overwhelmed. Fortunately, our team members are more than happy to assist you, answer your questions, and help you pick out the right carpeting & rugs for your home. We’ve been helping people just like you explore their options at our location for the past 17 years. Thanks to our experience, we know exactly what we need to do to make the time you spend shopping at our store a rewarding, enjoyable process. If you’d like to explore our selection of carpeting & rugs, stop by and visit us at Giant Carpet Flooring Centre today. Or, if you have questions, feel free to give us a call. Whether in-person or over the phone, we’ll do everything we can to make sure your needs are met. At Giant Carpet Flooring Centre, we offer high-quality carpeting & rugs to residents of Barrie, Alliston, Angus, Newmarket, Cookstown, Innisfil, Bradford, Midland, Wasaga Beach, Collingwood, Muskoka, Gravenhurst, Bracebridge, Orillia, Thornton, Everett, and all of Simcoe County, Ontario.